I was looking for a lesser known place and decided to check this one out. Despite being located in a small strip shopping center they actually do have a pit out back. The place has a small cafeteria feel inside. They offer a variety of meats, including smoked catfish. Unfortunately they don’t have any when I stop by. But based on the description it is grilled over the pit as opposed to truly smoked. I still wish I could have tried it. I order the five meat sampler which states it comes with pork loin, brisket, pork rib, chicken, and sausage. 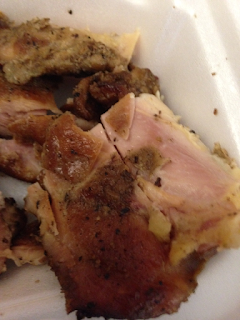 However, it appears I get turkey instead of pork loin. 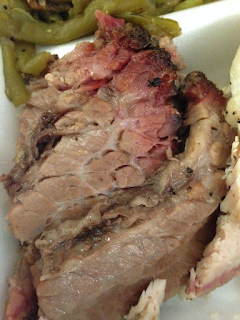 Brisket: The brisket has a nice smoke flavor. There's not much bark and the texture is a little tough. Considering I ordered moist brisket, it's also a little dry. 5.0/10. 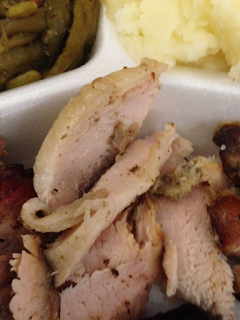 Turkey: Again, a nice smoke flavor, but a little dry and tough. There's not much going on here besides the smoke (which is nice, I'll grant). But the dryness hurts. 5.0/10. Chicken: The smoke flavor works well here. It's a little more tender than the others and not as dry, although it could be a little more juicy. 6.0/10. Ribs: The rib doesn't look like much. Not much crust. However, it has a nice flavor and the smoke compliments the meat. It is juicy and tender. 7.0/10. Sausage: The sausage is Elgin sausage, but has a nice smoke flavor. It's juicy and tender so they've prepared it well. 7.0/10. I noticed that Branch BBQ relies heavily on the smoke for their flavor. 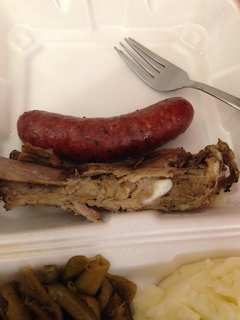 It seems to work in the case of the chicken and ribs, and Elgin sausage is always good if prepared well. They seem like a decent place to go. Is it worth a visit? It seems like a solid place to grab lunch. Nothing is bad, and some of it is on the high end of good. Is it worth a trip? No. Nothing moved into the excellent range. Hola! I've been reading your web site for a long time now and finally got the courage to go ahead and give you a shout out from New Caney Texas! Just wanted to mention keep up the great job! Damn, that meat looks delicious! If their prices are anything like Kroger catering prices I'd be using them every time!